If you are thinking about pursuing a graduate level education for the purpose of beginning a career in the accounting sector, you may have wondered about the types of accounting jobs with a Master’s in Accounting you can obtain. Below you will find some information pertaining to several job opportunities you can pursue. A financial analyst is a person who offers individuals and businesses guidance when they are making important investment decisions. To accomplish this objective, financial analysts will analyze the performance of stocks, bonds, and several other kinds of investments that their clients might make. Typically, a financial analyst will work within an office setting. Although most work a full-time schedule, some work more than 40 hours on a weekly basis. According to the U.S. Bureau of Labor Statistics, the average annual wage for a financial analyst is $76,950. The job outlook for this career is impressive, with a projected growth rate of 16% between the years of 2012 to 2022. This is faster than the national average for all vocations. 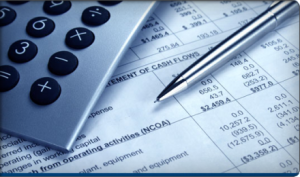 Accountants are individuals who prepare and examine the financial reports and records of their employers. A large bulk of the work the accountant performs will involve ensuring that financial records are as accurate as possible while also ensuring that taxes are paid in a timely, appropriate manner. In providing their employers with these services, accountants ensure that organizations function with expedience and excellence. The U.S. Bureau of Labor Statistics reports that accountants can expect to earn $63,550 annually. Additionally, the Bureau reports that careers in this sector are expected to grow at a rate of 13% between the years of 2012 and 2022. This is about as fast as the national average for all vocations. CPAs are individuals who provide assistance in important tax preparation matters as well as the preparation and review of both individual and corporate tax returns. 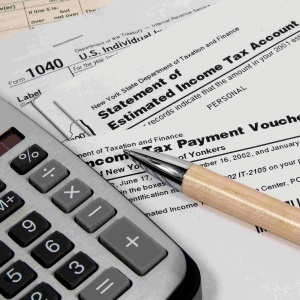 CPAs research tax situations when necessary and are responsible for possessing a strong understanding of tax concepts as well as the ability to apply their knowledge to the unique situations of their clients. To accomplish this objective, the CPA will participate in meetings with clients and work in a team setting to provide them with advice and information regarding tax optimization. The average annual salary for CPAs is about $81,000, according to Indeed. The advisory services associate is an individual who provides assistance in preparing financial memorandums, analyzing client processes, reviewing financial statements, and more. The goal of the advisory services associate is to apply financial knowledge and skill to help businesses manage risk and function optimally. This position involves working with team members who will offer coaching, learning opportunities, and direction in matters such as risk advisory services, business restructuring services, and fraud investigation practice. The advisory services associate can expect to earn about $76,000 annually, according to Indeed. If you have given any consideration to obtaining a Master’s in Accounting, you should know that doing so can open a broad range of vocational doors for you. Now that you have a basic understanding of accounting jobs with a Master’s in Accounting that you can pursue, you can determine whether pursuing any of them will help you accomplish your personal and professional objectives.